Divyanka Tripathi and husband Vivek Dahiya are charging a huge sum to participate in Nach Baliye 8. The eighth season of Nach Baliye is just around the corner. Recently, there were reports that comedian Bharti Singh and fiance Haarsh Limbachiyaa are charging a whopping Rs 15 lakh per week. Now, the pay packets of other couples are also out. 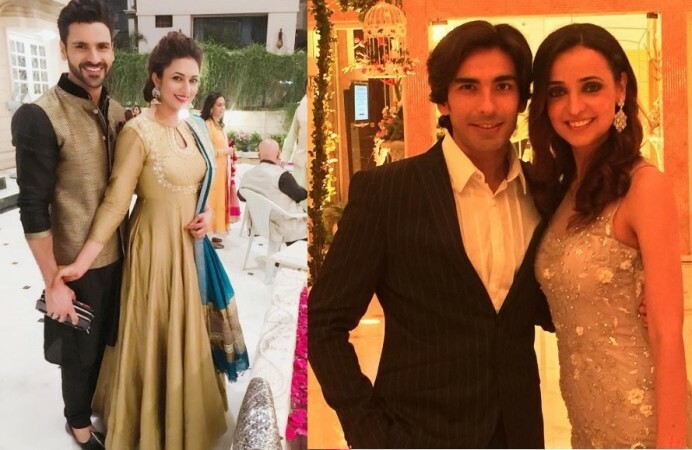 Apparently, Divyanka Tripathi and husband Vivek Dahiya, who are probably the most popular couple in the show, are collectively charging Rs 10 lakh per week, Hindustan Times reported. Sanaya Irani and Mohit Sehgal are reportedly being paid Rs 7 lakh per week. Dipika Kakar and Shoaib Ibrahim, yet another popular celebrity couple, is taking Rs 6 lakh per week. Former Bigg Boss contestant RJ Pritam Singh and wife Amanjjot are charging Rs 2.5 lakh per week, while Bigg Boss 10 contestant Monalisa and her husband Vikrant Singh will take home Rs 70,000 per week. There were reports that Bollywood star Ranbir Kapoor will host the first episode along with Karan Tacker on April 2. The new season will be judged by Sonakshi Sinha, choreographer Terence Lewis and filmmaker Mohit Suri.